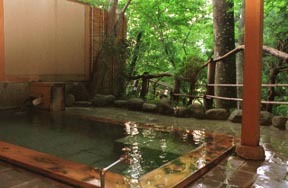 The chartered open-air bath of the hinoki structure surrounded by fresh green trees. 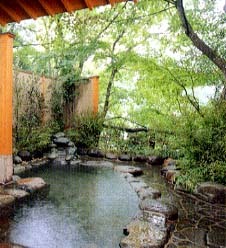 The chartered open-air bath of a rock structure. 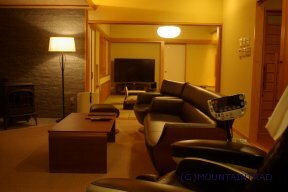 An open-air bath is attached to all the guest rooms, and it has a massage chair. 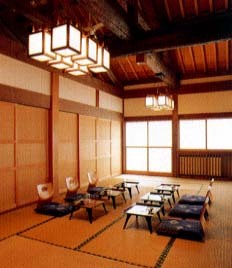 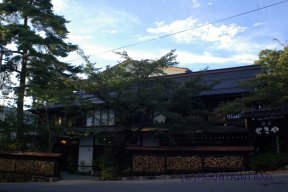 A photograph is a Konshin-tei guest room of the 2011 renewal.